Yeah, it’s true. 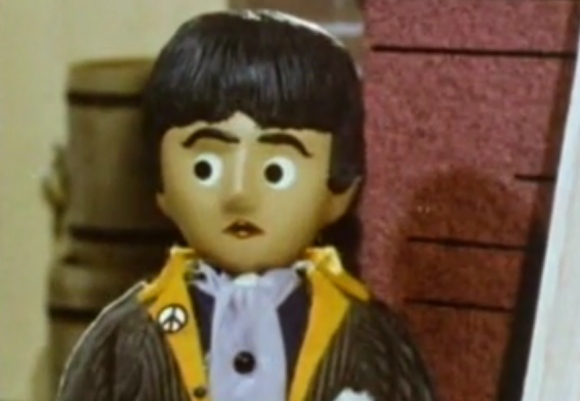 Evidently, 50 years ago Paul McCartney — in the unauthorized, playful claymation guise of Paul Plunk — met Gumby, everyone’s favorite walking, talking green … thing. 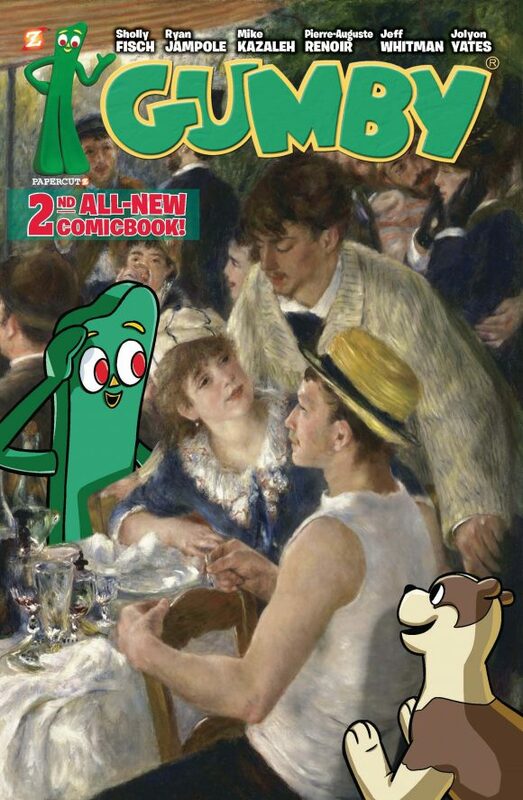 But now, thanks to Papercutz’s awesome new monthly Gumby comic, an early contender for an Eisner for Best Publication for Kids, Gumby and Paul get back together just like it was yesterday. This. I just can’t handle this. The story — The Sour Note! — is written and illustrated by Mike Kazaleh and it involves Gumby’s band, the Clayboys. 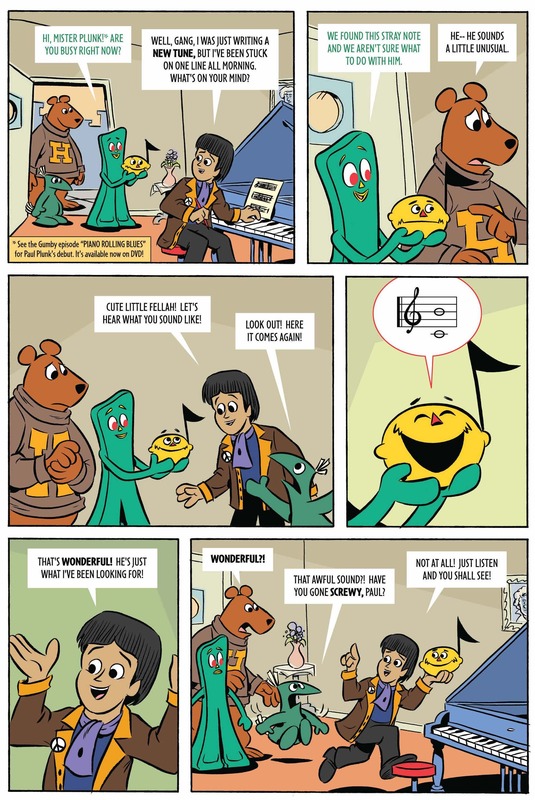 So roll up to your local comics shop and check out the full magical mystery tour in Gumby #2, released just this week. I mean, come on, Renoir gets a cover credit! BONUS GUMBY! For more on the everlasting appeal of Gumby, click here. BONUS BEATLES! For a look at the Beatles in comics, click here.